Acting Chief of Main Directorate of Military Cooperation and Peacekeeping Operations of the General Staff of the Armed Forces of Ukraine Col. Valentyn Levchyk stressed it during a briefing held in Kyiv. “Practice of our participation in peacekeeping exercises is practically in the past. 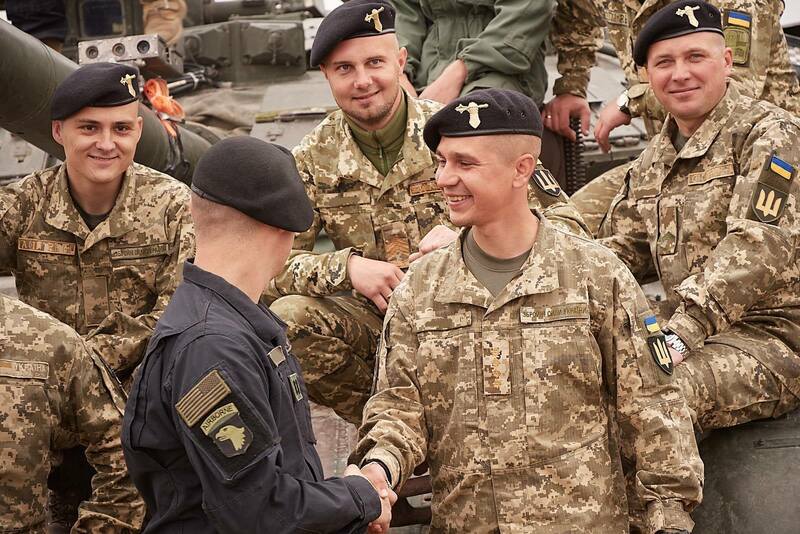 The multinational exercises, we participate in, are related to combat training to repel armed aggression against Ukraine, and this participation is considered as an integrated element of the training of the Armed Forces of Ukraine”, he said. According to him, the participants of these exercises share experience and acheive interoperability. This year 16,000 service members will participate in 19 multinational exercises: 6 – in Ukraine, and 13 – abroad. Ukraine has recently participated in Combined Resolve Х held in Germany. The Ukrainian unit was valued by partner nations. Currently, a tank unit is preparing for Strong Europe Tank Challenge 2018 to be held in Germany, too.